Cover painting by Norma Ricketts. Cover image layout & design by Aurore Colson. Recordings made by Mike Collins at his project studio in North London between April and December 1999. How this album came about! Jim Mullen has been a source of inspiration for me since I first saw him playing with Kokomo in the mid-70s at Dingwall’s in London. 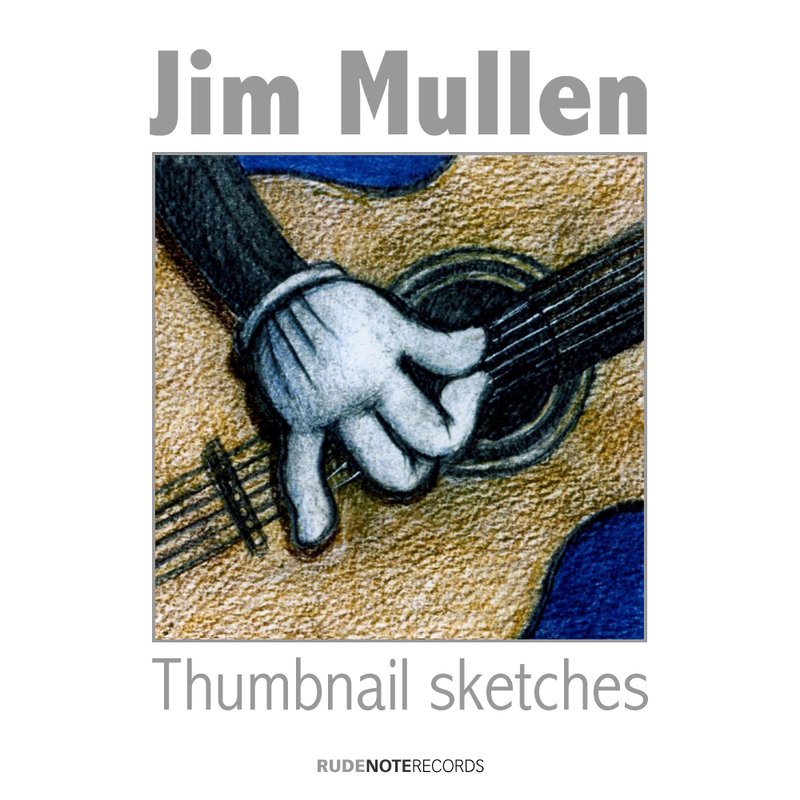 I remember seeing Jim playing at many gigs with the Morrisey Mullen band in the 80’s which turned out to be high-points of the London club scene, and I continued to check out Jim’s gigs and albums which moved into the Jazz genre throughout the 90s. Then I bumped into Jim again in the spring of 1999 – playing guitar with Jimmy Smith at the Jazz Cafe. Jim was ‘dynamite’ at this gig – and even played two or three solo jazz guitar pieces in the break between Jimmy Smith’s sets. So the idea was born that I would record him playing a few solo pieces to listen to and learn from – and this grew into a series of sessions which we decided to develop as a complete album. Listen and enjoy…. Jim mostly played through my mid-70s Ampeg VT22 2 x 12 guitar combo amplifier, although he used my early-60s black-faced Fender Vibrolux Reverb 2 x 10 combo amplifier on a few selections. I placed one microphone a couple of inches from the speaker cabinet, using a Shure Unidyne III or an AKG C414, and positioned an AKG C12 VR or a C414 microphone about 12 inches away from the front of the guitar to catch some of the acoustic and room sound. The microphones were recorded via a Yamaha 02R digital mixer to the left and right channels of a Studer D780 DAT recorder. Later I transferred these to Pro Tools to balance the two channels and add EQ, compression and reverb – using a Focusrite D2 EQ TDM plug-in, a Waves Rennaissance Compressor, and a TC Electronic M3000 reverb. A little background hiss which can be heard occasionally is actually coming from the Ampeg guitar amplifier – not from the recording process, which was all-digital after the microphone pre-amplifiers.